Adva Mobile, a marketing solution for performing artists, unveiled a new email marketing service Wednesday that helps musicians leverage the power of email marketing ROI for revenue instead of relying on streaming music sites that pay little. The new solution adds email to Adva Mobile’s text-based mobile marketing solution. Artists can now create marketing campaigns that integrate SMS text, email, Web, mobile and social media outreach to drive fan engagement. Kelly says that although music streaming services like Spotify help artists get discovered, they are not optimal for artists as a revenue producer. 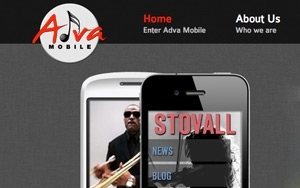 Adva Mobile was originally founded to help independent artists get their music on phones. “Label musicians had it easy,” says Kelly, “it was a lot harder for independents to take advantage of the emerging mobile ecosystem.” To meet this challenge, Adva Mobile created a text-driven platform that drives fans to a musician’s Adva-powered mobile Web app. The driving force behind expanding Adva Mobile to email, Kelly says, was that many musicians were already using their own email marketing solutions in tandem with Adva Mobile to engage with fans. Artists utilize Adva Mobile to notify fans about upcoming concerts. Texts and emails can also link to ticket-buying services like Brown Paper Tickets to increase sales and concert attendance, Additional tools for engaging with fans include coupons, surveys, and codes for free music downloads. To help its email marketing musicians create more personalized content, Adva Mobile collects fan behavior data such as the last time a fan engaged with an artist and whether they downloaded music or checked out a band’s tour page. Additional customer data includes phone, email, age, gender, and Zip code. Personalization of content helps musicians distinguish casual fans from super-fans, who Kelly says are more likely to support the artist through purchases and concert attendance.